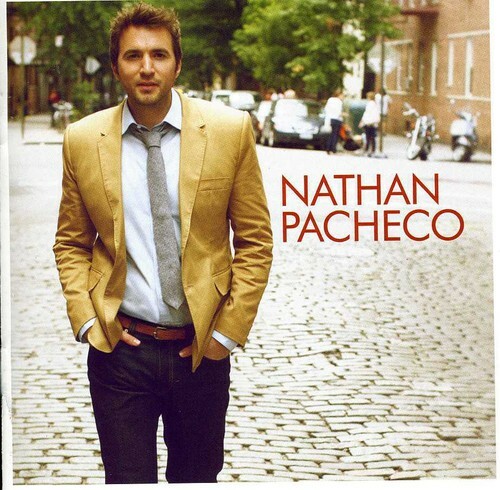 Discussions Magazine Music Blog: An EXCLUSIVE Interview with NATHAN PACHECO! An EXCLUSIVE Interview with NATHAN PACHECO! Classical artists crossing over into the Pop mainstream may not be a new trend but certain artists seem to ‘work’ better than others. When everything falls together beautifully, the results can be astounding. From vocalists like Josh Groban and Andrea Bocelli to instrumentalists including David Garrett and Vanessa Mae, the transition from classical favorite to bona-fide popstar can be a wondrous thing. While not technically a crossover artist, even Dutch violinist Andre Rieu (the “Waltz King”) has caught the attention of millions of music fans and sells more albums worldwide than most major Rock stars. Even pan flute legend Zamfir has become a pop culture phenomenon. A new name to add to the list of successful crossover artists is Nathan Pacheco, an amazingly talented vocalist as well as songwriter and multi-instrumentalist. Pacheco possesses the depth and power of a Classical vocalist yet he also understands and embraces the art of Pop music. Instead of merely blending the two genres together, on his self-titled debut album, Nathan manages to create a world where they co-exist as if they are one and the same. When listening to the album, which includes “Caruso”, “Nessun Dorma”, “Now We Are Free”, “Infinito Amore” and “Tears From Heaven”, it’s as if all the songs were composed and created together, coming from the same place in time. And since the tracks are a mix of originals and covers, that is no easy feat! Working with producer Leo Z (Josh Groban, Andrea Bocelli), Pacheco co-wrote many of the album’s originals, including album highlights “Avatar” and “Don’t Cry”. Nathan’s work in the past has included recordings with Yanni and The Muppets (he handled the operatic bridge in the song “Let’s Talk About Me”), as well as concerts around the world. While honing his craft, he has also managed to immerse himself in different cultures while traveling and is able to speak and compose in Portuguese, Italian and Spanish as well as English. To say that he is a man of the world is an understatement! Thankfully, he manages to bring all of his experiences together and has created an album that speaks to the heart and soul of everyone, not just the Classical music snob or the Pop-addicted geek. SPAZ: Your self-titled debut solo album is about to drop. How are you feeling about the album and everything leading up to it? NATHAN PACHECO: I could not be happier with how everything is going. This is what I’ve been working toward over the past few years and so it’s incredibly fulfilling to see all of these things coming together. SPAZ: The album is an amazing mixture of styles that really show off the power and emotion in your voice. Do you feel more comfortable in exploring these different musical avenues rather than trying to appeal to one particular type of audience? NATHAN: I think both my composing and singing in these different genres are a result of how much I love different styles of music, so it’s hard for me to restrict myself to just one. People label songs to be of a particular style after they’re written; but when you’re writing, you just follow the inspiration...however it comes -- and for me, the inspiration often comes as a blend of these different genres of music. SPAZ: You have spent a lot of time immersing yourself in other cultures around the world. Do you feel that this has been an advantage in helping you connect with the music at a deeper level? NATHAN: Absolutely. A lot of the songs that I sing are either in Italian or Spanish. Now, I do believe that, simply because of the emotion that you may feel in a melody, it’s possible to sing from the heart...even when you don’t know what you’re saying. But if you understand what you’re singing about, you can go that much deeper. This has definitely been one of the reasons why I have made it a hobby to focus on these languages. SPAZ: While the album has these beautiful, sweeping musical passages, there are also plenty of warm and intimate moments in between. In which do you feel more at ease? NATHAN: That’s a hard one to answer, because I love the contrast. In fact, many times I feel like a performance is incomplete if, for example, there’s only enough time to showcase one song. I love featuring the songs that bring about a lot of emotion from the strong high notes, but I also love taking things down a notch to where it’s as if I were singing a simple lullaby. SPAZ: There’s a great variety of material on the album. With virtually hundreds of songs to choose from (apart from your own), how did you come to choose the songs that made the album? SPAZ: What was the recording process like? Were most of the tracks recorded live in the studio? NATHAN: I recorded in both London and LA. And I must say that recording in Air Studios in London was one of the highlights of the past couple years. The acoustics were amazing, and I couldn’t help but feel a bit of magic while singing in that studio that was once a cathedral back in the day. I loved recording there and hope to be able to do that again. SPAZ: You had a hand in writing some of the album’s highlights with Leo Z. How do you feel about how those collaborations came out? “Don’t Cry” and “Avatar” are particularly mesmerizing…. NATHAN: Hey, thanks for that. I’m glad you like those songs. I love writing -- there’s a part of me that can only be fulfilled when I’m able to write and compose. So I feel fortunate to have been able to participate in the creation of a lot of the original songs on the album. I feel a strong connection with both “Don’t Cry” and “Avatar.” I always like to leave songs open to interpretation, but to me they both speak a lot about life and what we experience as human beings, so I hope that people feel that and are taken on a little journey when they listen to these songs. SPAZ: In terms of musical direction, do you feel that you might be moving in a more pop direction… or do you see yourself keeping at least one foot firmly in the classical field? NATHAN: I feel like I’ve found something perfect for me, especially as a result of working on this album. I feel like I’ve found my style. I won’t rule out performing in an opera or two at some point down the road, but for now, I love blending the classical with the pop and folk genres -- this crossover genre feels like my home. SPAZ: What have been the greatest influences in your career, musical or otherwise? NATHAN: Pavarotti’s recordings have always inspired me, and they always will. When it comes to the classical style of singing, his recordings teach me more than anything else. I’ve also really been inspired by Josh Groban and Andrea Bocelli. They really made this crossover style popular. But I also love listening to Coldplay and Simon & Garfunkel and I think people will hear their influence in some of my songs. SPAZ: What’s next for Nathan Pacheco? NATHAN: I’m going to be living on the road for the next little while doing live performances, including a UK tour with Katherine Jenkins. I also have my Christmas PBS TV special airing throughout the USA at the end of November. Now that the album is ready to go, I want to sing these songs for people all over the world. Fingers crossed! SPAZ: What are you currently spinning on your CD and DVD players? NATHAN: Well, I would say that I have quite the interesting mix: everything from Pavarotti to Coldplay, Simon & Garfunkel to Eminem, and La Boheme to a few of my favorite movie soundtracks: Legends of the Fall and Braveheart. These are some of the recordings that I love.